The Tornado BD 14/4 is a cordless floor scrubber that will clean over 10,000 square feet on a full charge. You can expect 70 minutes of run time from this compact, cordless scrubber. It can fit into compact areas, where only a mop bucket and wringer could be used to clean before. The parabolic squeegee follows directly behind the scrub brush, so 100% of your dirty solution is recovered, even in 180° turns. The solution tank is easily removed for filling and cleaning purposes. The ultra quiet BD 14/4 emits only 67 dB, making it the perfect cordless scrubber for convenience stores, gas stations, fast food restaurants, small retailers, restrooms, classrooms, health clubs, hospitals, and kitchens. It is OSHA recognized for it's quiet operation. This allows you to clean during normal business hours without interrupting the normal flow. We always recommend using wet floor signs with any of our battery powered automatic scrubbers. Investing so much money in such a small scrubber, may not be the best course of action for you. For example, we offer a 18 inch electric auto scrubber, and 20 inch hard floor scrubbing machine, that have much larger tanks, and are much more economically priced. Essentially you get more machine for either less, or about the same amount of money! 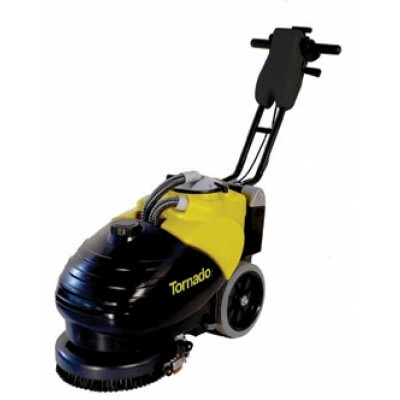 If you are truly interested in only Tornado equipment, take a look at our Tornado 20 inch auto scrubber, for a larger model. 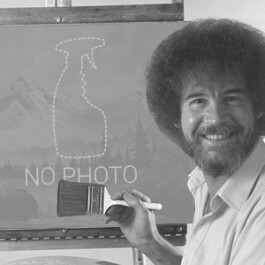 Designed to scrub areas where a typical mop & bucket are used. Can fit underneath tables and benches for hard to reach areas. Compact storage keeps the machine stowed away out of your way. 3-position adjustable handle make this scrubber easy for any operator to use. Easy access to tanks and batteries for cleaning and maintenance. Customers who were interested in the Tornado® 14" Cordless Automatic Floor Scrubber - BD 14/4 were also interested in the following items. This is a review for the Tornado® 14" Cordless Automatic Floor Scrubber - BD 14/4.